Perhaps the most tragic aspect of the United States is racial division: the pain of the past that continues on. Unfortunately, race hustlers rub salt into the wounds and seek to keep Americans divided, but there is a noble pushback. One notable leader for meritocracy and an end to identity politics is C. L. Bryant of Shreveport, Louisiana. The radio host and former Christian pastor is no stranger to racial activism and its often counterproductive results. The former NAACP activist came to see the welfare state and abortion as destructive, particularly when it came to blacks, but found himself ostracized from his church and the NAACP for challenging the prevailing narrative. With the support of FreedomWorks — a classical-liberal advocacy organization where he is a senior fellow — Bryant led and narrated a film project, Runaway Slave (2012). The outcome stands as a reference and launch pad for those seeking to take the red pill for racial politics in the United States. 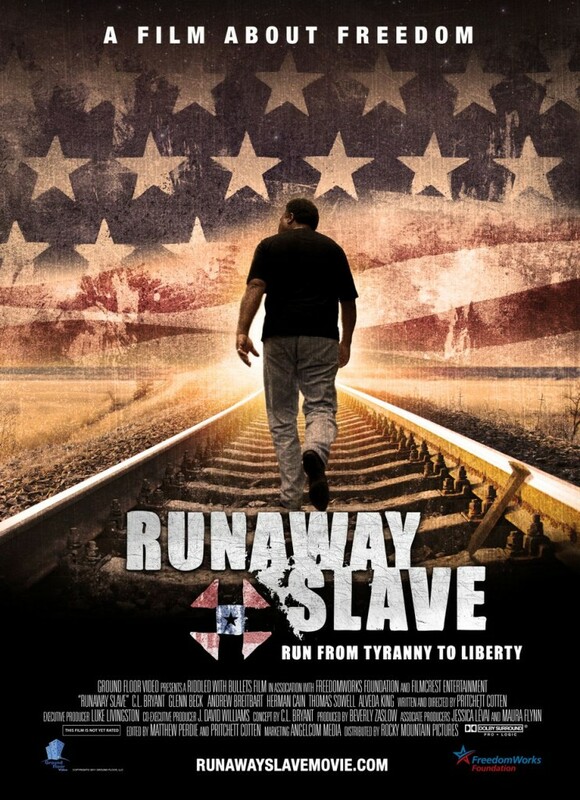 Subtitled “run from tyranny to liberty,” Runaway Slave offers a who’s who of black advocates for limited government and independence. Part autobiography, the film follows Bryant as he travels across the country, attends and speaks at various rallies, and interviews many heavy-hitters, from then-Congressman Allen West and presidential candidate Herman Cain to author and Fox correspondent Deneen Borelli. He even confronts progressives such as Jesse Jackson and Al Sharpton, although the latter declined to answer any questions. Bryant’s chief concern, echoed by the impressive array of guests, is that so many blacks have taken for the bait of the nanny state — that they have replaced dependence on one master with dependence on another. Further, he confronts the fallacy that all people sharing genetic lineage must think the same way, lest they be “sellouts,” as he has been labeled. To get to the root of these problems, Bryant traces history, and he asks why the initial civil-rights movement became derailed from one of empowerment to one of victimization at the hands of “poverty pimps.” He also invokes the legacy of the runaway slave, those who left for some northern states and Canada prior to emancipation, as an example to inspire another generation of blacks to flee dependence and forge their own paths. Along this journey, Bryant has no problem finding people who have been runaway slaves in their own way, and who want no part of bashing the United States and her ideals. The most touching and symbolic moment along this line, a tearjerker, comes as Bryant stumbles upon a man on Edmund Pettus Bridge in Selma, Alabama. The film itself has considerable shortcomings, with overdone sound effects and an off-putting tendency towards closeups on Bryant. However, the many stories of individuals who have prevailed and overcome the past are priceless, and one must commend FreedomWorks for getting behind this project. Even if Runaway Slave has not garnered a large audience, it remains there for people seeking answers and an alternative to the group-think of failed progressivism.